The above statement is absolutely true when it comes to people who feel their life is not worth living. The reason behind the statement is she/he believe the journey she/he wants to live does not create that moment of joy and satisfaction and creates a strong perception that if life does not provide that inner peace and joy then it is better to end it by committing suicide. Suicide mean to end one own life. It is an act to escape from pain and suffering and a condition wherein a person does not want to face the reality of life. Today I will be talking about Suicide which is an extremely sensitive subject and there have been many talks, interviews and blogs written on prevention and remedial measures on checking Suicide. But such cases have been increasing in Asian and European Countries. Are Suicide Rate increasing worldwide ? According to the WHO – World Health Organization, Suicide is the Second Largest leading cause of Death in the age group of 15- 29. Over 8 lakh people die every year due to Depression which later culminates into Suicide. Over 60 Countries have vital data on registration of Suicide and 28 Countries have started working on a National Strategy for suicide prevention. Since there has been an increase in the number of Suicide Cases every year, there is no tool to detect the signs and symptoms of depression and mental ailments. But humans have developed that science which helps in detecting the signs and symptoms by means of Handwriting Science known as GRAPHOLOGY. 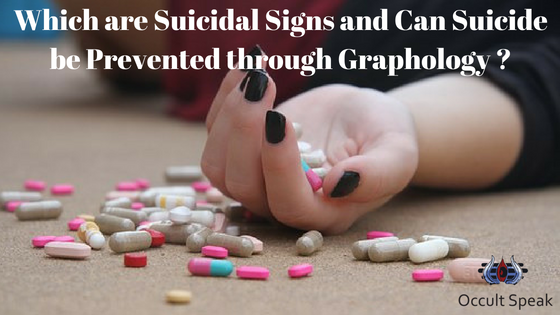 Through Graphology one can easily detect those traits of Depression and Suicide which gets printed on paper hence helping humans to prevent from becoming victims of SUICIDE. Thus without wasting your time, I will give you 27 Suicidal Traits which would be helpful not only for Graphologists/Counsellors or Psychologists but even laymen can seek those traits of mental ailments. 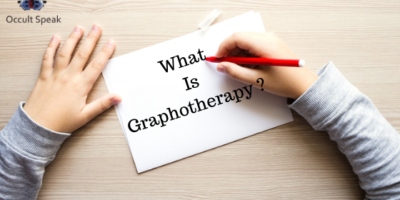 Many of the terminologies I have used contain technical language of Graphology because Handwriting is a vast ocean and professional training is required to understand the language of letters. I have tried my best to make the language simple and lucid. 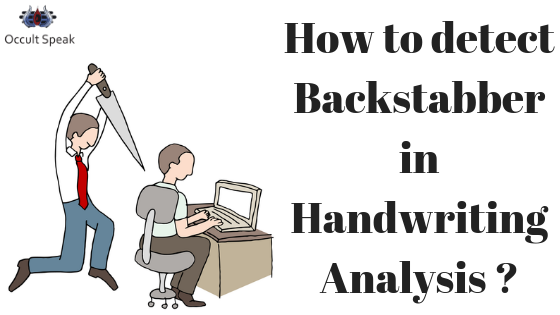 I advise to my readers to always take help of a Professional Graphologist or a Psychologist for detecting mental ailments through Handwriting Science. Low T Bar: I have seen many a time T bar in maximum Suicide notes, this low t bar denotes low self-esteem of the individual, it is because of this feeling person feel incompetent and lacks confidence. 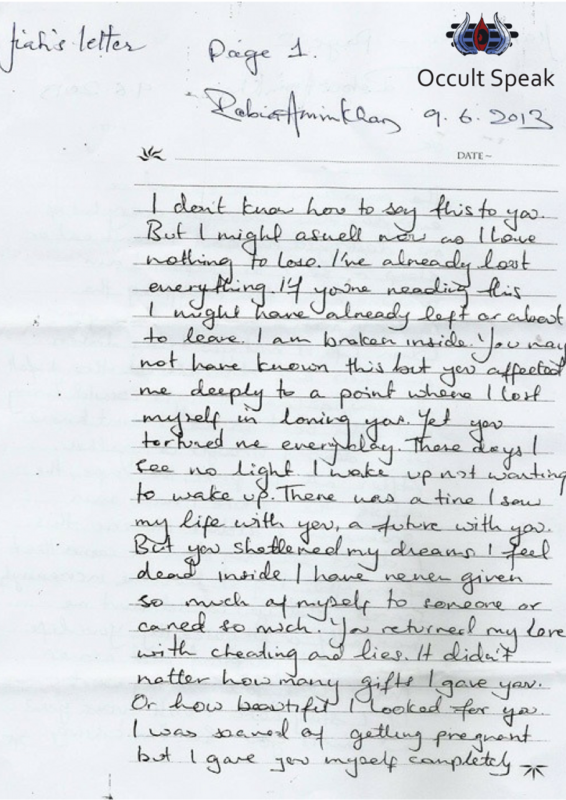 You can look upon Jiah Khan’s Suicide Notes – in her notes, one can easily see letter T has low bar crossing which depicts an extremely low self-image and does not like her own self at physical, mental and emotional level. 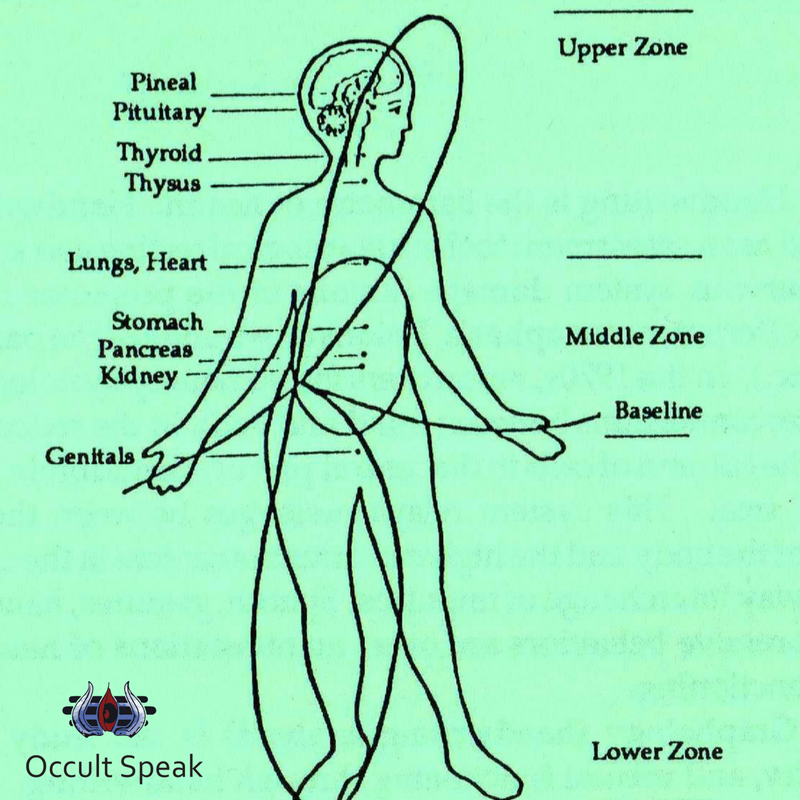 X Formation in Lower Zone: In Graphology the Human body is divided into 3 zones viz Upper Zone – Head to Neck, Middle Zone– Neck to Umbicilus and Lower Zone – Lower Extremities . One can easily understand this concept from Letter F which covers all the three zones. 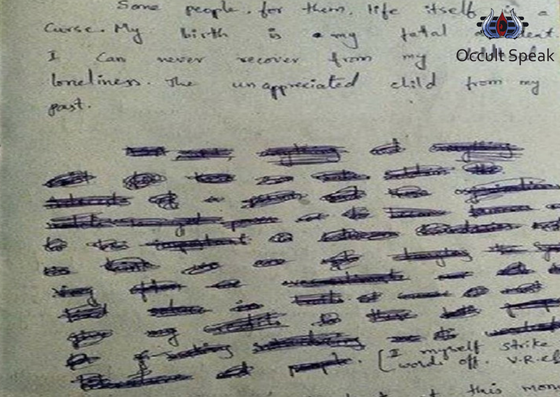 It is always prominently seen in such cases that the writer ( who writes the suicide note ) subconsciously writes in such a pattern that in the Lower Zone either in the Signature or in the Handwriting it creates an X Mark Formation by combination of 2 different Letters -which also shows the negative aspect of their life and hence they easily give up after a few failures. In Many cases, I have noted that even the relatives of the dead person also possess such a writing pattern. ( this happens at the subconscious level ) wherein the relative who has very deep feelings of regret and grief and attachment to the dead person and those negative thoughts get registered in their subconscious mind. I have met many such people whose friends, mother, son committed suicide Or they have seen their relative committing suicide in front of him/her hence the thought of death and fear of losing someone gets registered automatically in their Signature/Handwriting. I have seen X Formation in many ( relative and friends ) Signatures and when further inquire about the incident they either start weeping or Run away. Cutting of Signature: One of the major traits in such a person is that you can see Cutting in the Signature with lots of Pastocity especially in their own name initial. Since cutting of Signature alone does not mean the person will attempt death by suicide, there are other traits to be considered while coming to the final verdict. Cutting of the letter in Signature also depicts certain Ailments like Diabetes Mellitus, Gastroenteritis, Heart Ailment etc. Descending Baselines: This is one of the common traits in all the suicide notes. You will find that the baselines on both either rules or unruled paper drooping down suddenly. Sometimes it is seen that the person who writes big notes and 70-90 % of the notes have straight lines and the last few lines become descending baselines. Last Word drop suddenly: Just like few baselines which get down suddenly on the right side, Similarly few words fall down in certain paragraphs/lines.This show person is unable to handle the situation of their life and in those events, they give up considering they won’t able to face the situation. Story: You can see many Suicide notes with long stories wherein the writer ( before the suicide ) writes his/her happy and sad moments.How he felt during certain Instances when someone scolded him/subjected to, sarcasm, taunts or insults in public. 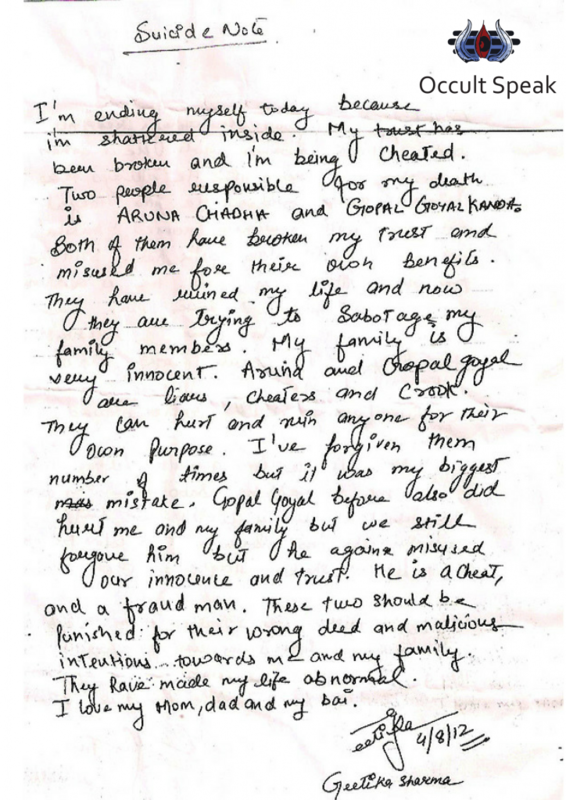 A few Suicide letters also mentioned how they were harassed at the mental and emotional level. The story of suicidal writers may be short or long depends on their mood swings and circumstances. This Story may not necessarily have any logic with respect to their current situation. D Claw Formation: A prominent trait in suicide notes. This trait is seen in those suicide notes/letters where the attempt to commit suicide was excruciating and painful.She/he give pain to their body that goes up to extreme levels which we would find hard to imagine. Like the d claw writers cut their vein with a blade wherein they start profusely bleeding which keeps on increasing with the pain and mental agony. I know a close friend ( a girl ) who has seen one of her friends cut her vein with a blade and even today, whenever I ask her the reason why she does not wear a watch, she refused to wear as the wrist reminds her of that suicide. When we check with the handwriting of such a person, We get to know those writers has strong claw with heavy light pressure. Pastocity: Pastocity mean extra flow of ink on certain letters along with heavy pressure. I have observed in many suicide notes there is more pastocity in all zones but one has to note that this pastocity will be seen more in middle zone letters like b ,e, d, a, c – as this letter are middle zone letter, this represent your own daily life and how you handle and enjoy your present movement that makes a perfect life. Since the people who are in the depression and unable to handle their failure – one can see more of pastocity in middle zone letters. Starting and Ending Stroke: Few but not all, I have seen extreme starting and ending strokes in suicide notes/letter. The reason behind such formation is that they are unable to control their feelings hence those past hooks keep them irritating in their present moment. Self Scratching of Initial: This trait you will see in every suicide notes, the writer often keeps him/herself on lower side since they think they aren’t that important enough to live a normal life like others.This self-rejection creates a void in their subconscious and slowly and steadily move towards extreme depression. This Low self Esteem is seen in PPI as well in the Signature. 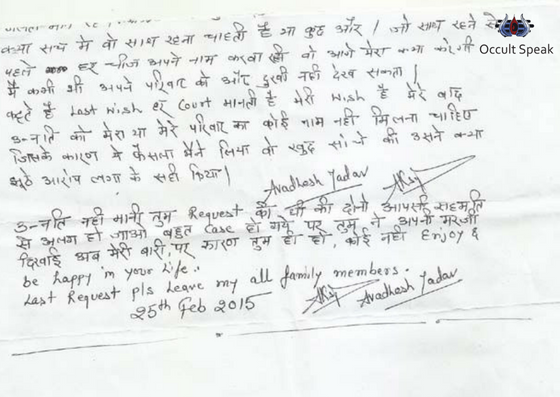 Loss Of Control: This trait can be seen in those writers who have Multi Slant handwriting.This shows the extreme mood swings and impulsiveness. Such a writer’s behaviour is unpredictable and you can’t judge as to how this person will speak a very next movement. I have seen many patients who suffer from severe depression and memory loss having multi slant handwriting. 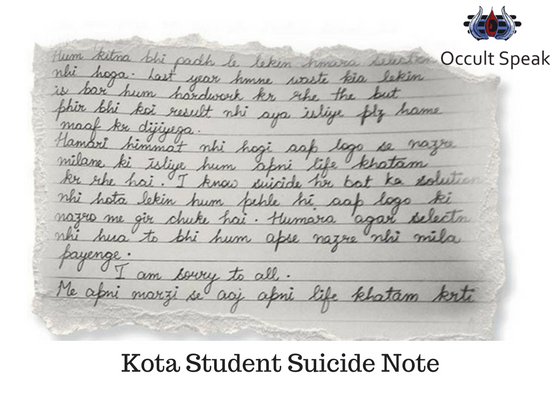 Decision of Self damage/Suicide : Majorly you will find many suicide notes mention the date, time and method as how s/he will commit the suicide as whether by drinking poison, cutting veins with blade or knife, by hanging on the ceiling fan or using any relatives/friends/sibling room for suicide. Mention reason for Suicide: Since this people has lost all the hope in their life they felt the need to end their lives in a horrible manner, hence many notes either short or long suicide notes – will mention about the tragic end of their life with a specific reason for this step. Many suicide writers mention the name of their relatives or people who harassed them. Post Death: Again few writers who commit suicide mention as what to do with their dead body whether to create or bury in the ground or keep certain articles near to his/her dead body. This desire shows their worldly attachment to their own body which it does not get fulfilled also affect surrounding on negative aspects. The reason why Hindu religion has the ritual to burn the dead body as the departed soul gets attached to the body even after death. If time permits I would like to write a complete blog on those conditions of paranormal activities post death and how to identify those traits and prevent them. Large Word Spacing: Another general trait in such cases, as a person lacks self-confidence and has the low self-image, they are unable to give time to themselves, hence this people letter shown more of word spacing. 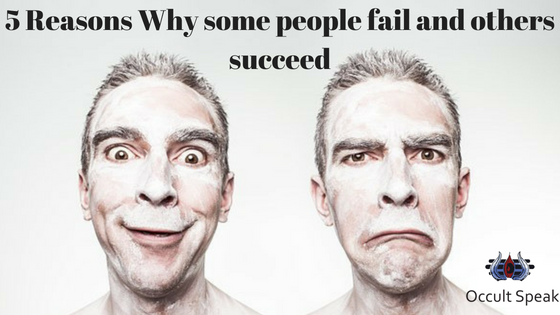 This also shows lots of regret in their personal life as they are unable to grasp the opportunities and lack a disciplined life. The reason of Suffering/ Ailments: This is also seen in many samples as the writer mentions his/her inner state of mind or physical ailment s/he is suffering due to the certain circumstances. Large Loop in Letter: Letter like l and h has a bigger loop in suicide sample as such writer has the higher level of anxiety and sensitivity which is the sign of getting hurt over smaller issues which are of not that important. This extra large loop creates a sense of dissatisfaction and restlessness in nature. Go to Hell K: Many samples also show Go to Hell K traits. The psychology behind this trait is that the person is highly impulsive and in a fit of anger, they become careless and don’t care even for the other people’s emotions. But why does such a behaviour pattern appear in Suicide Writings? Imagine if someone keeps nagging you, what will be your reaction? The sudden outburst in the form of anger, right? Similarly, the suicidal writer has been kept nagging which creates a Loud Shout ( Internal Dialogue ) Hence we can find such traits as a Resentment and rebellion and is seen more in young people. Even Suicide writers sample seen such traits as they feel Suicide is the last resort for them and they can pour their anger on paper which is seen in such K formation and dark flow of ink. Descending Word/ letters: Again a major trait in many samples where certain letters droop down immediately at frequent intervals or at the end of the paragraph or lines. This pattern is seen sometimes in words towards people/things/situations. This also show writer broke down and unable to face the real situation and keeping thinking that people in society will create a bad impression of them. Hence to avoid the reality of the life they commit suicide and letter formation get descending on the right side of the page. Miniature HW/ Signature: Many writers do write extremely small and in an illegible way that one may not able to read whole script/letter. This writers seem to be extremely introvert and do not want the people to notice their presence. Even in Graphology, Small or Miniature Signatures are considered for high-level concentration but such writers do not get to socialize with people. “Th” letter Variations: There is always a Variation seen in the letter formation th which shows that the writer’s emotions and Ego keep on fluctuating, hence one can also see th letter ( in combination ) in multi slant.I have seen many samples with a high t bar with a combination of letter H. One can view the Sample of Celebrity –Jiah Khan who committed Suicide in 2013. Her sample reveals extreme mood swings and weak temperament which is seen in her letter th in a different slant. Signature Variation: The Signature shows different slants in Letter. Few writers write their name in Capital Letter and then signed off in small letter. 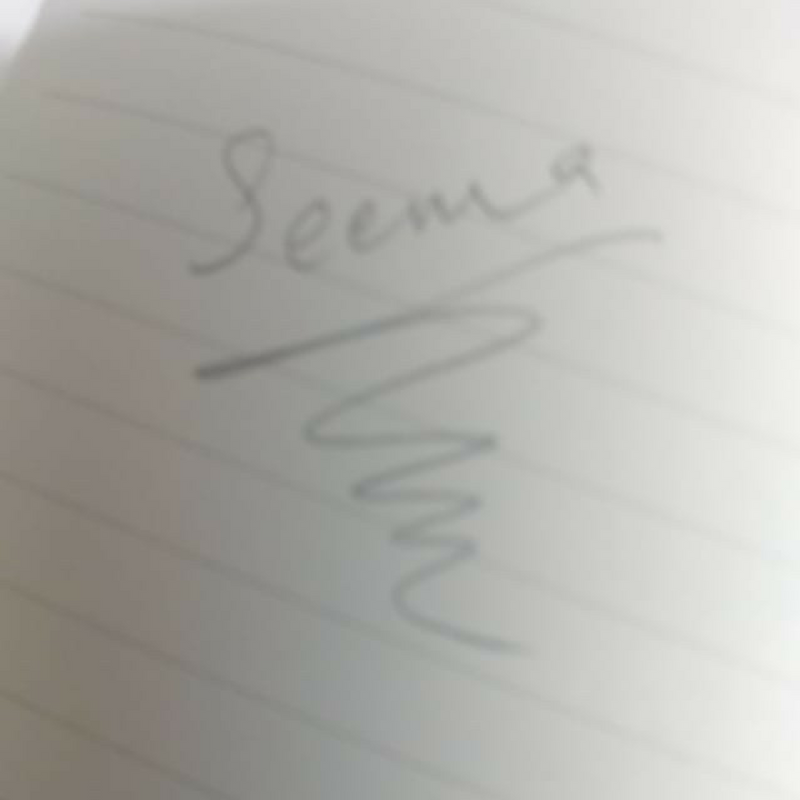 In such Signature one may notice one or two letter falls down. This show person gives up due to non-acceptance of self. This writer needs lots of motivation and counselling to create their self-worth. 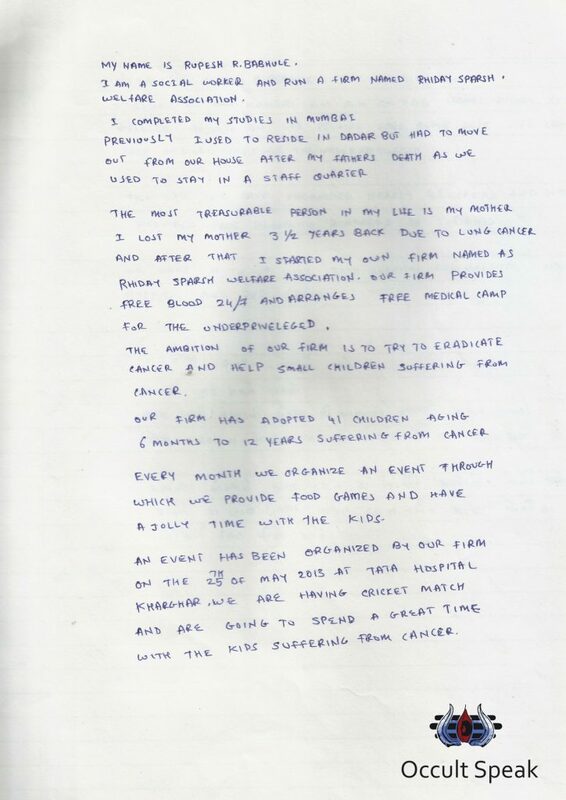 All CAPITAL Letter : I have seen many sample writings in Capital letter, many suicide notes I have gone through the found combination of either Small and Capital letter OR All Capital Letters.One may find in the Image a Suicide Note of a Human Right Activist who has started his own NGO. After a few years he has been absconding, later news come up as he has committed Suicide. 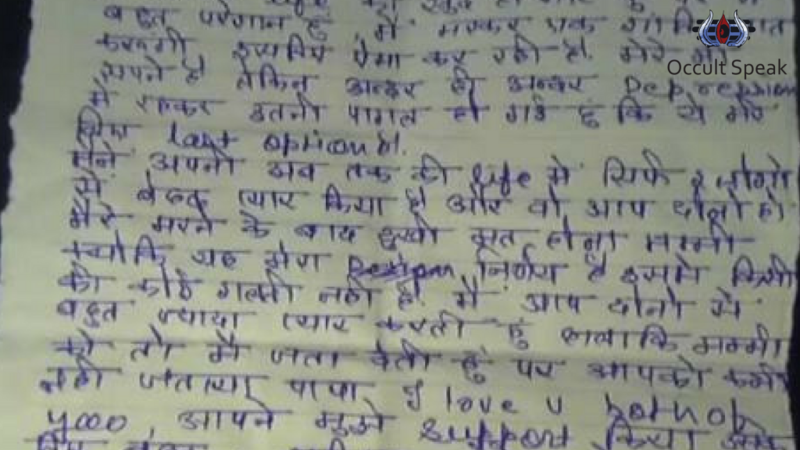 One may notice that the writer has written whole Suicide notes in Capital Letter and it took him 20 min to complete the suicide note. In Graphology a writer who writes the script in Capital Letters is considered as to be immature and needs time and space to think over his decision, eventually, such writers also take a hasty decision in their life whether it is relationship or profession. Loss of Right Margin: Maximum suicide sample show drifting right margin. The Right margin depicts as a Future in Handwriting Science hence suicidal people often have fear of the unknown, and they are unable to face the reality ( Future) on right side thus the right margin is also Wavy. A shift in Left Margin: An important trait in suicidal tendency wherein the writer is moving away from the origin, hence shift in the left margin shows that the writer does not have a connection with his family and relatives, which also show lots of hesitation in expressing their feelings to their near and dear one. This writer always wants to show their love and affection to their family but have been detached and are moving away from a parent, or lost the personal touch and affection, therefore, this writer also starts hiding the activities from the family members. Wavery Underscore: This is also seen in many Signature of Suicide notes wherein the writer make the signature at the ending of the notes with the Underscore in Wavy form. This Underscore depicts a low Confidence level of the individual, therefore, we can easily make out the level of understanding and Confidence level of people undergoing depression. Weak Mother Figure: The weak mother figure is seen in PPI – Capital Letter “I” especially with the upper bar score either cut, inverted, distorted or a gap in between the upper bar and the stem. Many times there would not be supporting bars also either in Upper or lower part OR Both. In few cases when there is no crossbar in PPI this show the person lacks the support from parent and there is other standard reading that s/he is not ready to take support and want to build the life of its own. Thanks Rai saheb , i m happy you like this blog.. Most of the findings are apt and true. Very well written and thoroughly worked upon article. Love reading your blogs ! !